I’m curious, is it just me or do other runners see the “long run” as an obstacle to be overcome? And I mean mental as well as physical. From reading various running media I know that a lot of runners save their long runs for the weekend when they have plenty of time, but my working hours mean that I have to try to fit mine into a gap during a week day. Then, more often than not, I have to venture out in the evening to put some poor person through their paces whilst trying to keep up the appearance of a fitness professional full of beans and energy, when all I really want to do is put my feet up and have an early night. I find lots of caffeine helps! I also know from experience that it is in my own best interests that I try to get the long run out of the way as early as possible in the week otherwise it remains an albatross hanging over me while I keep checking the diary and contrasting that with the current weather forecast to try to judge when the best time would be. That also means I have more opportunities to find excuses not to do it! I had the perfect opportunity yesterday to try to get it out of the way, particularly after two days of no running, but I had a sports massage in the morning and I’m never too sure whether I’d be wasting my money by going straight out on the road afterwards. And then a dentist appointment in the afternoon when I had a tooth refilled. On so many occasions have I been tempted to ask whether going for a run after such treatment could jeopardize the filling staying in place or whether the impact could dislodge it, but I didn’t want to risk the ridicule! But it’s a good excuse in my mind. So, no running yesterday. Today – time and opportunity. The BBC weather app said it would stay dry until just after lunch so I set out. My very basic training plan indicated that this week the long run should be 13k and I set off on an out and back 10k route and planned to finish it off with a twiddly 3k bit. I ran out just passed the 5k point putting “operation make people smile” into practice (only the cyclists seemed a bit miserable today) and then turned back to head towards home. Towards home also means running back up the hills that the outward route had required me to amble nicely down. And this is one of the indicators which shows me that my fitness level is returning. The two really horrible hills were fine and traversed without any requirement for walking! By the time I got to the 10k point there was a bit of sideways moisture in the air but I was determined to continue – not least because if the 13k wasn’t achieved today, I’d have it hanging over me for the rest of the week. Fortunately it didn’t really come to anything major and I managed the next 2k without too many problems. Then I realised that the 13k point was going to leave me a little way from home. Should I do a walk/run cool down to get me home or should I/could I go for 14k!? Legs felt up to it, mind was keen. Hell, let’s go for it! And I did 🙂 I’m sure there were a few people I passed a couple of times who were a bit bemused at my erratic running route but hey, there were metres to be run so I went back and forth and back and forth until 14k was displayed on my Garmin. And guess what, ten minutes after I got home the skies opened! So glad I went out when I did because on this occasion the forecast was spot on. Proof – if you can read it! I’ve come across a lot of people in the past who’ve never managed to get a place but I’ve tried three times and on all three, I’ve been successful. 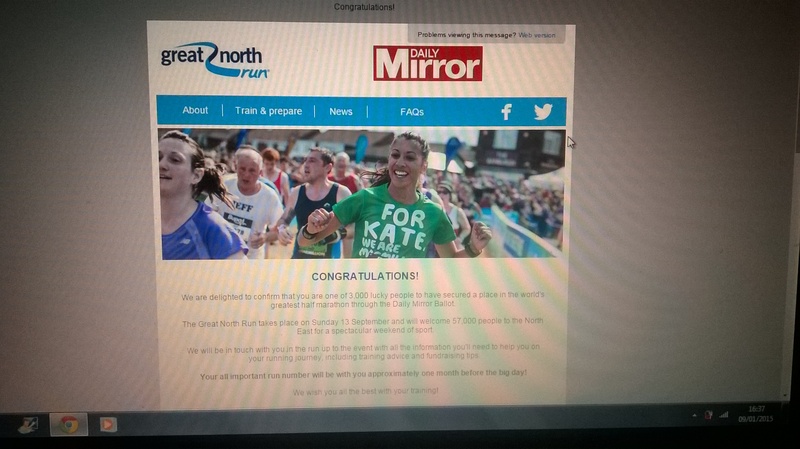 The London Marathon ballot may not like me but the Great North Run sure does! The last time I got a place was in 2012 when unfortunately I had to pull out because at the time I couldn’t run down the garden path, let alone from Gateshead to South Shields. And on my first time I went off way too fast so really didn’t “enjoy” the experience. So this time I’m determined to (a) turn up, (b) run sensibly (c) enjoy it. And that’s my unfinished business. It also gives me another shot at my “new half marathon PB” objective! And after absorbing the information, I went out for a celebratory run. Actually it was supposed to be this week’s “recovery” run but I was in such a joyful mood, and the weather was unseasonably warm with sunshine abounding, so it became a celebratory run. This was my fourth run of the week and I’m hoping I can keep this momentum up, inspired by Jantastic of course! After the euphoria of my long run on Monday, Tuesday saw me limping up and down stairs with the return of my dodgy left ankle and right knee. I have had problems with this knee from time to time but they seem to disappear of their own accord. So my plans to do a recovery run, rain or not, were put to one side and Tuesday became my rest day. Wednesday I went a bit mad! I started off the day with the first yoga class of the year and it was hard but my reward was at the end of class when we did a seated forward bend. Never before has my stomach managed to touch the top of my thigh, usually my back’s been arched and there’s daylight between two said body parts. Not that day 🙂 I was reassured by our teacher, Emma, that this wasn’t down to post Christmas bloat. I hope she’s right. I like to think all the previous postures helped to loosen up my body and enabled me to reach such dizzy heights. Not sure height’s quite the right word but you know what I mean! Then later on in the day, I went to the gym and used the treadmill for my “hill” session. I wasn’t too sure what would happen with my legs after Tuesday. Ankle and knee seemed to have recovered, so I kept the speed down and managed 9k before the treadmill went into “cool down” mode. I’d hoped to do 5k, possibly 6k but as I am finding (both inside and out), once I get to this stage, my mind starts saying “just one more”, then “might as well do another one”, etc, etc. So then I skipped off to the weights area to pursue my intention to “increase my resistance work” and my plan to improve my press up execution. Since Christmas even this has been gaining momentum, practice really does make perfect. I know it’s only been a fortnight since Christmas but I’m now regularly executing 15 full press ups and the quality of the first few is gradually improving. The facial expressions by the time I get to 14/15 would probably scare most people away but hey, I’m getting there without collapsing on my front and breaking my nose. In a determined attempt to improve my upper body strength, I’m also following this up with a set (or two) of half press ups and I tell you what, I found the dolphin pose at that morning’s yoga session harder! Whoever thinks yoga is a soft touch is wrong! Thursday I managed my “speed” session with another quick visit to the gym between hairdressers’ appointment and evening client. I’m not sure my hairdresser would have appreciated me ruining all her hard work but a girl’s got to do what a girl’s got to do, ie, her “speed” session! I really hope that next week is just as productive but I need to make sure I allocate time for my four runs in amongst an emergency dentist appointment, forecasts of snow and work! Jantastic 2015 – Day One! Don’t panic, you’re not going to be subjected to a day by day account of my 3 month Jantastic challenge! 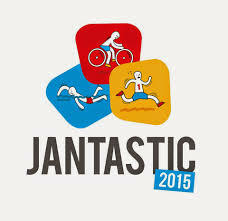 But today did see my first Jantastic run of 2015 (and also my first run since New Year’s Day – bad girl!). During January I’ve committed to four runs a week, one up from last year’s challenge when I was hedging my bets a bit. This year I’m being more determined. So when I got home from work this morning and after having allowed the gigantic coffee I’d consumed while waiting for shops to open at Bluewater to vacate my body, I donned my trainers and set off out the door before I could think up an excuse not to. My plan was to do this week’s long run (12k) to get it out the way. I felt good, the weather was just about right and I knew there weren’t any demands on me for the rest of the day. Actually I lie, I still have two articles to finish for the other website I contribute to (Lexi and Jones) but I’ll get there – eventually! I hadn’t been able to make up my mind whether to go for an out and back route or a 2 x 6k loop which would take me passed the local kindergarten at chucking out time – when mothers seem to think it’s perfectly acceptable to stroll in tandem with their friends and take up all the pavement, forcing me out into the traffic passed the other mothers’ 4 x 4’s parked half on the kerb, half in the road (sorry, rant over). In the end I braved the latter option and utilised a bit of my parkrun psychology (“the next time I come passed this bit it’ll be the last time/one more time” psychology – delete as appropriate) to prevent me straying home at the end of loop one. I remembered my goal of smiling at all passer’s by but the only positive responses I got were from a couple of other runners (one waved from the other side of the road!) and a dog walker. Everybody else was stoney faced – happy New Year! But I shall persevere. The joy of being acknowledged by another human being while on your travels should never be under estimated. Try it – they can’t lock you up for smiling and you might actually make someone else’s day a little bit happier. Although I do have to admit to muttering bad words when I don’t get a response! The run itself went fine. If I managed to keep up my average pace I should have a good chance of meeting my new half marathon PB goal. My legs even felt like they had a little bit left in them but I won’t run before I can walk, so to speak. Build it up gradually and hopefully avoid injury. There’s still a way to go. As to my other goals, well still need to work on the “taking off my trainers properly” one, ie, untie the laces first! But the buy a size 10 was achieved on 3rd January 🙂 I even took a size 8 into the changing room with me which may have been a bit optimistic but … I don’t think I’ve ever been a size 10. Always a “chubby” child, teenager, 20 something, 30 something, 40 something, it seems a bit bizarre to be a 50 something and start getting into small clothes. Is this something I have the menopause to thank for?! 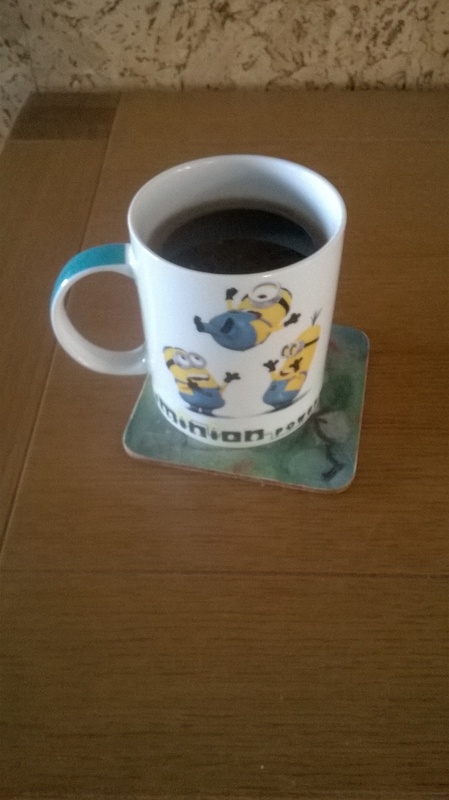 So I sit here on New Year’s Day in my Minion PJ’s and Minion socks drinking coffee from my Minion mug (guess what I got for Christmas!) pondering the year ahead. It’s already got off to a flying start. This morning I did my second New Year’s Day parkrun and when I say second I mean I did last year’s too not, like some mad people, my second of this New Year’s Day. Yes, me and 360 others turned up and took over Shorne Woods this morning and some of those 360 had already completed an earlier parkrun in some other far flung part of Kent. 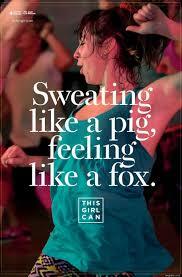 Maybe next year I’ll give that a go but one a day is fine for the time being. My running partner in crime, Royanna, “made” me start at the front and it’s probably because of this that I managed my second best Shorne Woods parkrun time. Being chased by faster runners is a strategy I shall have to try again 😉 Considering I expected it to be a PW (personal worst) after my 11k run yesterday and in view of the huge turnout, I’m quite pleased with my year so far! I have to confess that I very nearly turned around and went home because it was proving very difficult to find anywhere to park. Considering or maybe because it was the first day of the year, there was also a large walking party at the park as well as the normal dog walkers, families, etc. But we were all still full of bonhomie and everybody made space for each other so all was well in the woods. Although whether that good nature continued into the queues in the cafe remained to be seen. I personally had to hightail it back home to shower and get ready to work. So 5k down and only another 1395k to go before the end of December! 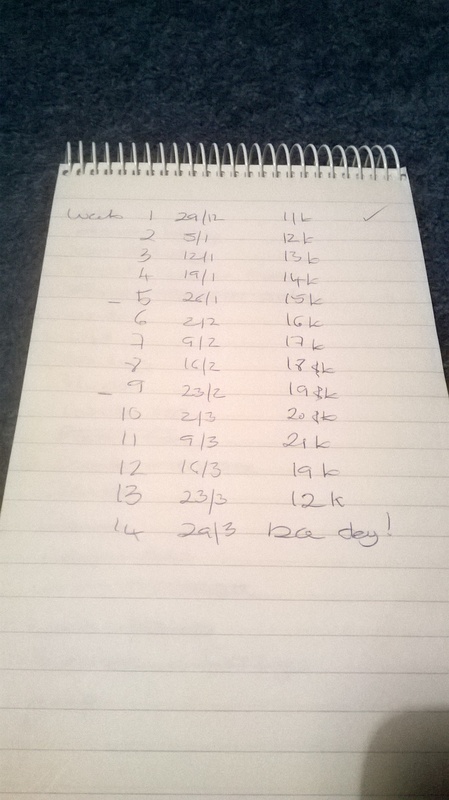 Hopefully my half marathon training plan will help tick off a few more before the end of March. I’ve been trying to build up a solid running base over the last couple of months and I’m pleased to report I’ve managed at least one 10k run a week since the beginning of October and that’s usually been an outdoor run. 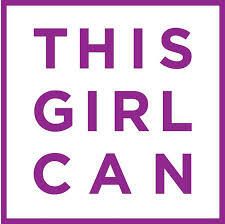 As a result I’m feeling more confident than I was this time last year when a 10k run was an ordeal! Yesterday was Day 1 of the training plan when I managed my first long run – 11k. The cold weather and a certain amount of post Christmas chocolate/cheese/cake/alcohol residue had suggested that starting the plan was going to be postponed until next week and I was only going to manage a 5k at best but once I got into my stride, the going got easier. The gloves even came off about half way round. My training plan is pretty basic, extend the weekly long run by 1k each week and intersperse that with a hill session, a speed session and another run yet to be categorised. And then start the glorious taper a few weeks before the end of March and D Day. I’m hoping Jantastic is going to get me out there again this year. Afterall it was very successful last year. Eat less sugar and saturated fat – may be a personal trainer but I’m only human! Take off my trainers properly – failed that miserably this morning but they were rather muddy! So 2015 begins. Where will it take me?! Come along for the ride and find out!